Why there is no 13th Floor in most of the Buildings ? EVER THOUGHT OF IT FRIENDS.....!!?? 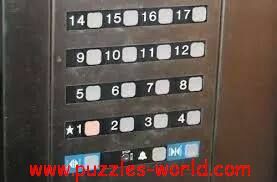 Why there is no 13th floor in most of the buildings??? Share with your friends and Family and have fun with the variety of answers you receive ! Most of the Building are Smaller than 13 Floors and hence there is no 13th Floor in most of the Buildings.